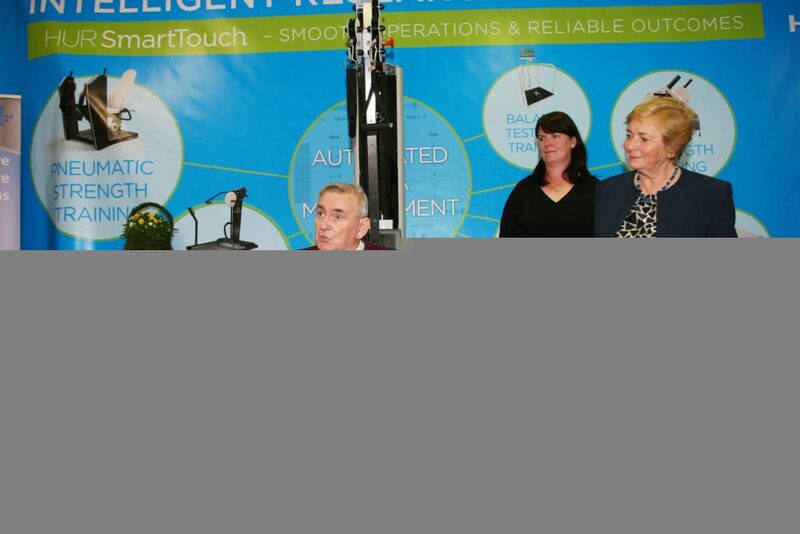 You are here: Peamount Homepage → Peamount News → New state of the art physiotherapy equipment launched today at Peamount Healthcare by Frances Fitzgerald, TD. 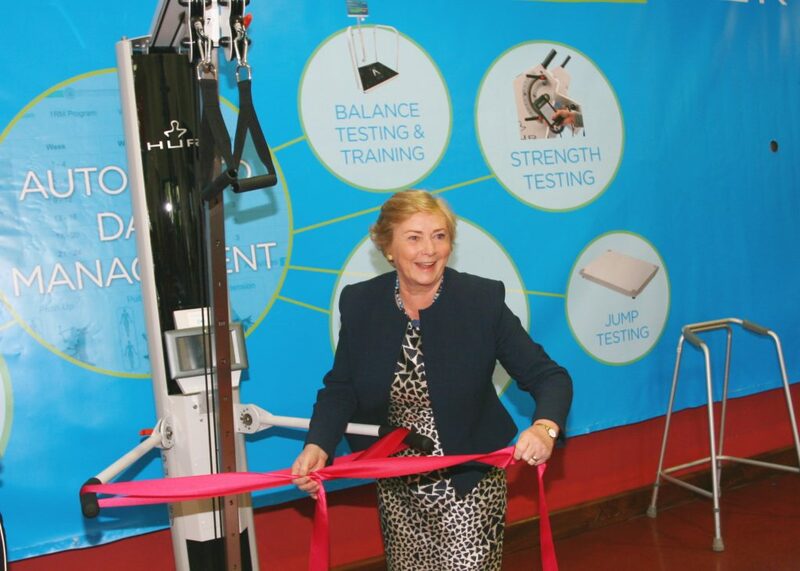 New state of the art physiotherapy equipment launched today at Peamount Healthcare by Frances Fitzgerald, TD. The event was attended by staff, patients, relatives and representatives from Accuscience. A big thank you to Tony Brennan, former patient of Peamount who shared his story at the launch with Frances Fitzgerald, TD. 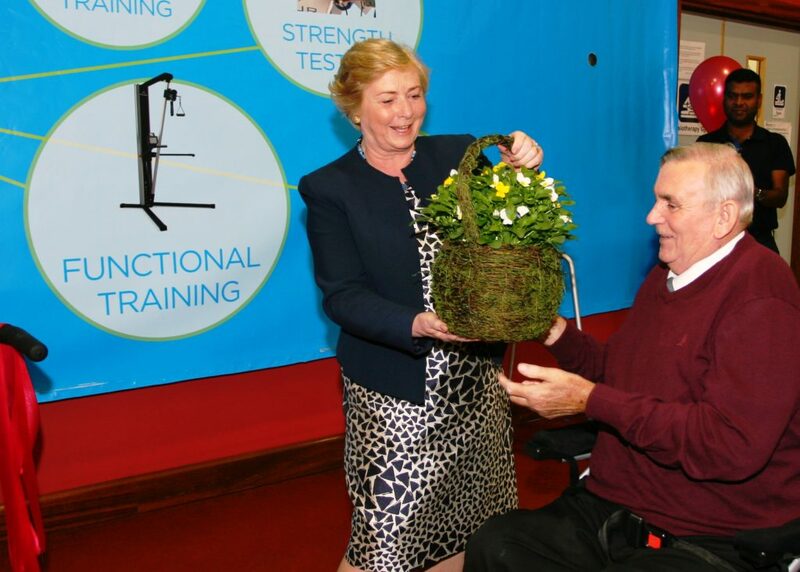 Thank you to Frances Fitzgerald who formally launched the equipment in our Rehabilitation Unit today. 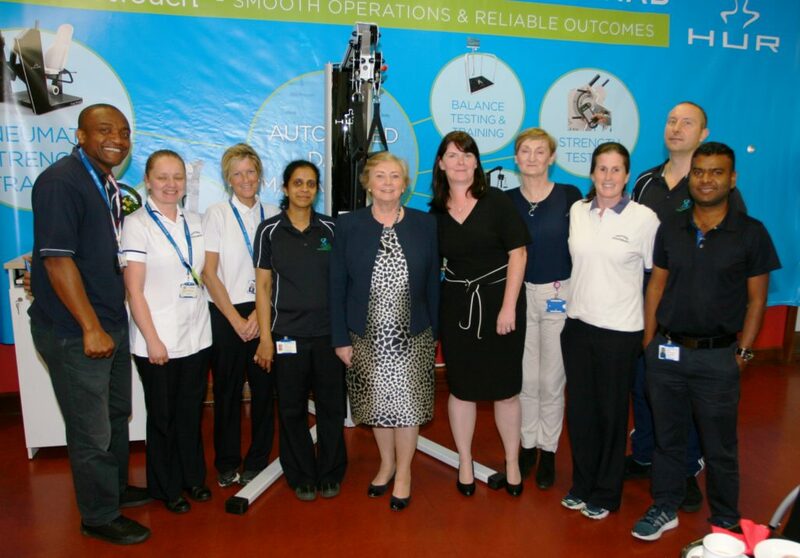 Peamount is the first in the country to have the new ‘HUR Pulley Functional Trainer’ equipment which has been made possible through the Patient Donations Fund. Thank you to all who made this possible and to all who attended the event and made it a wonderful success.